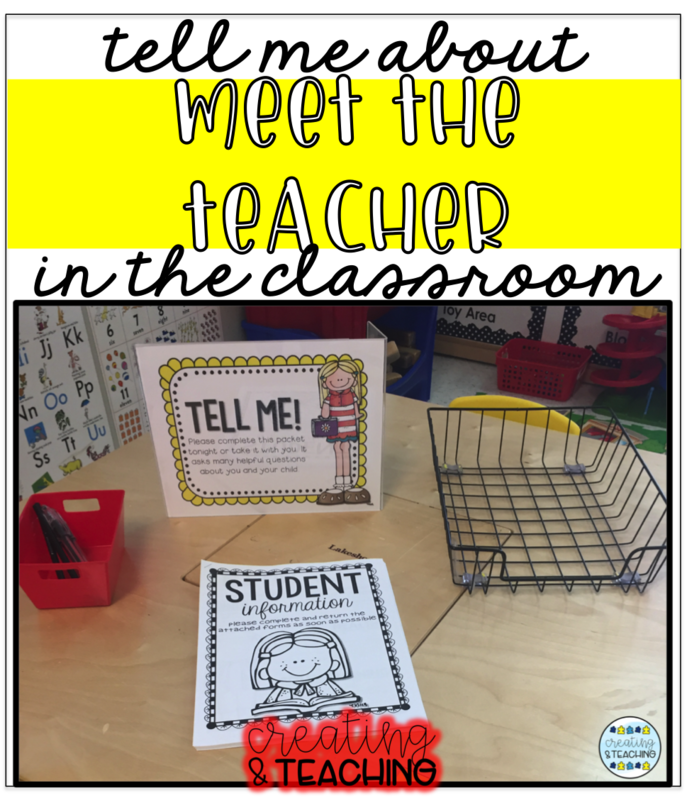 What Does Meet the Teacher Look Like? Whatever you may call it, meet the teacher, open house, back to school night; there's lots of variations out there on name AND on what happens. For me, it's always been about 1 hour in the evening PRIOR to school starting where families can come in, meet their child's teacher (kids come too! 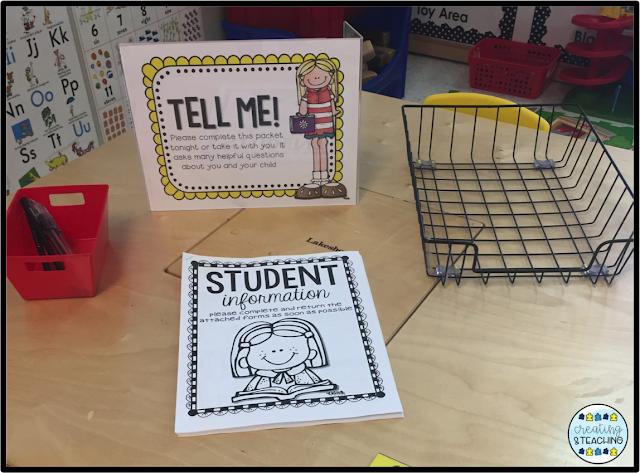 ), they can see their classroom, pick up some materials and other information about the school year. I've pretty much used the same tried and true resources for 7 years now and they make my Meet the Teacher night such a breeze to set-up and prep for. 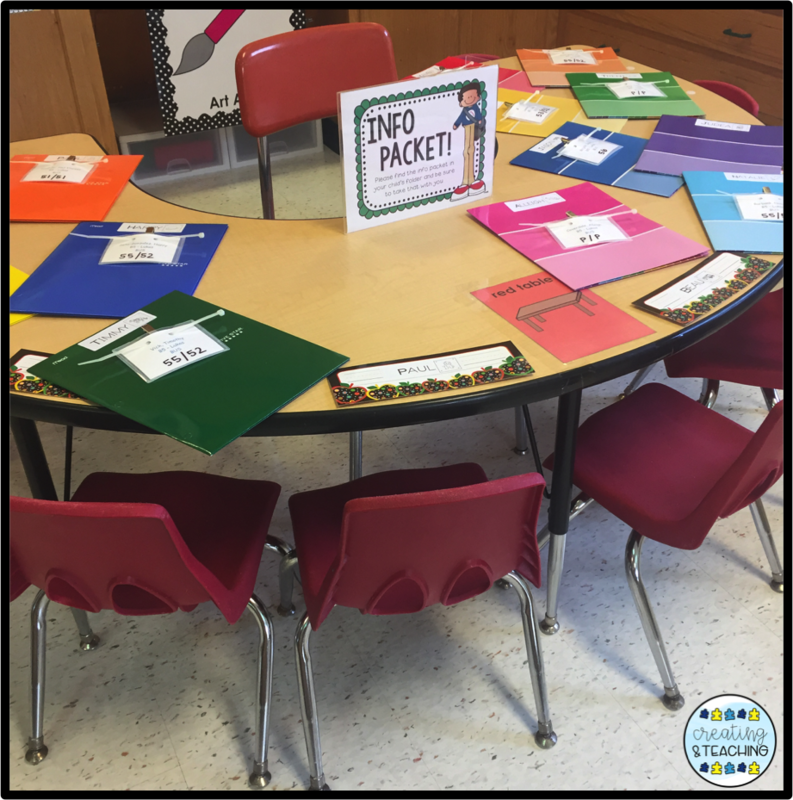 I wanted to share with you what this looks likes in my classroom and provide you with some resources for setting up. First off, I don't do any formal presentations during my meet the teacher night. I know this is popular among older grade levels, but for me I don't think it's necessary. I have a lot of students for more than 1 year so I typically know quite a few of the families coming in, if they even come in again that year. 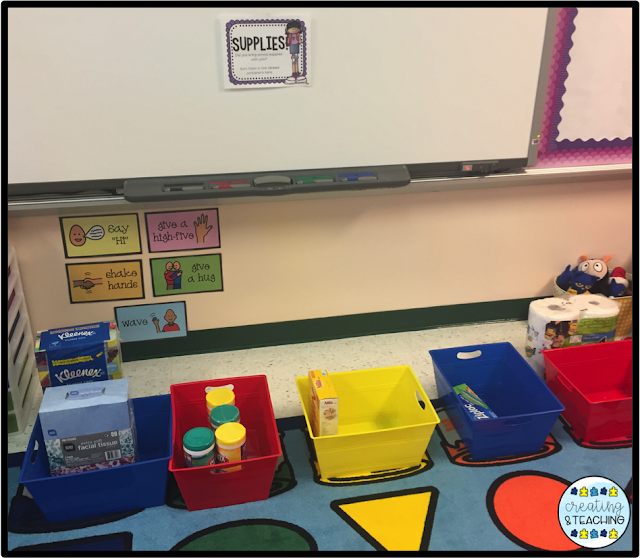 Next, everything is so individualized for students needs that I just spend time going around the room and talking to each family while they complete a few small tasks I have set up and let their child explore the room. 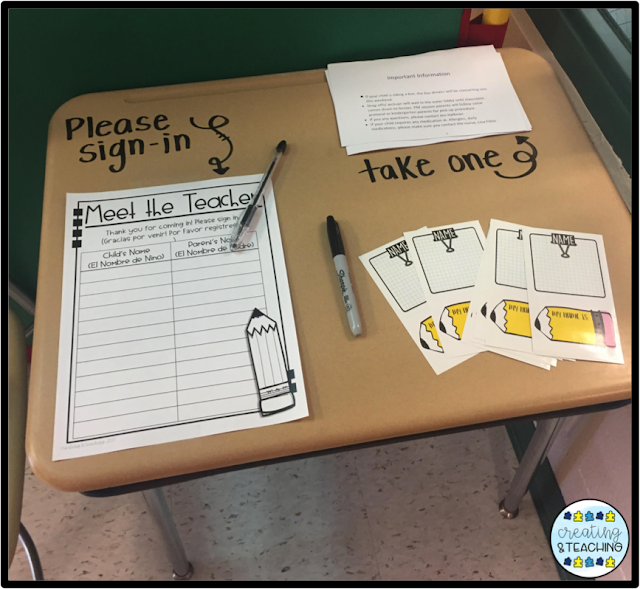 When parents/families first arrive they approach the sign in table. I have them write their name and their child's name down and also fill out a name tag sticker. From there they are free to approach different tables as they chose, I do not have any specific order for them to follow. You can download my sign in page [for free] by clicking [here]. It comes in English & in Spanish. They aren't required to move to this table next, but I have a table set up with their child's folders. They are able to take their folder that night and inside of the folder they'll find a Welcome Packet that I have put together in addition to any paperwork I've received from the office. 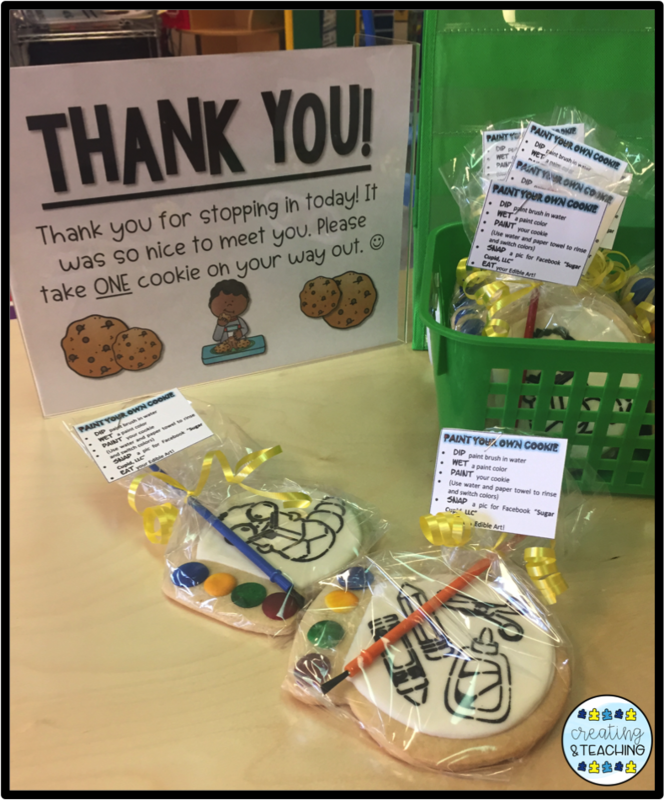 My Welcome Packet can be purchased in my TpT store and is editable to suit your needs! You can find it by clicking [here]. The next table they might find is our Student Information Packet. I'm thrilled if I can get families to fill it out while they are there and leave it, but it is a lot of information too so I do give them the option to take it and return it in their child's folder on the first day. I've been using this packet for several years now. This is also available in my store, with a few different page options to meet your needs. This however, is NOT an editable file. To find it, click [here]. As they flow around the room, they'll find the supplies sorting station! We have all crayons, glue, scissors, etc. that the students will need so our supplies list is a little different. 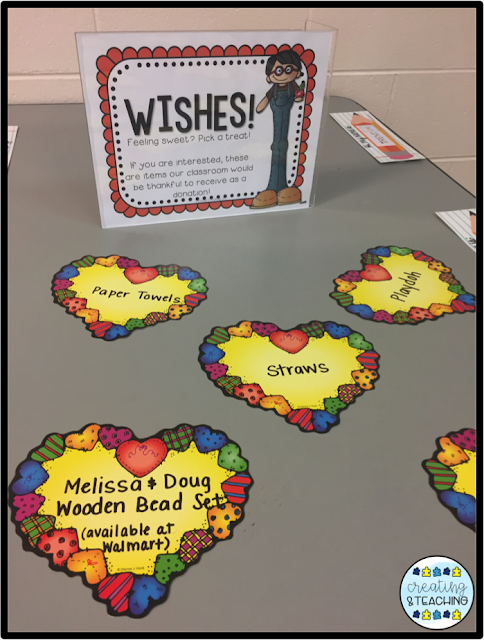 We ask for things like paper towels, tissues, cleaning wipes, and snack donations. Our paper towels at the sink are TERRIBLE for spills, and at this age, spills happen. So I ask for donations of those. We don't get any tissues from our main office so those are always on my supply list too. Once they've sorted their supplies into the correct buckets I have a "wish list" table. This is where I'll write down something that would be nice to have donated to the classroom if they wish. This is NOT mandatory at all! If they'd like to donate something they simply pick up that heart and take it with them. Last year was the first year I did this and I had a positive feel from it so I plan to do it again this year. The signs you've seen in each picture at the tables are also available in my TpT store. You can edit these to say what you need them to. I love how these just sort of give the families the information they need at each table if I'm not able to be right there. I found the plastic sign holders at Walmart and they are just sitting on their side, versus being vertical. Click [here] to find them in my store. 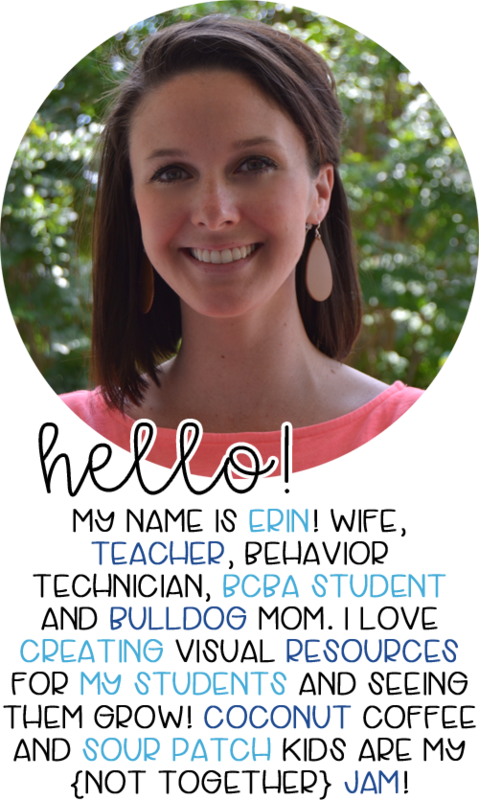 We don't have our meet the teacher until September 10th (Pre-school starts September 11th) which is why my brain is probably thinking it's okay to share this post now, meanwhile a majority of you start with your students tomorrow! 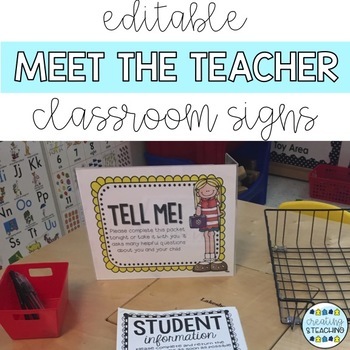 Some of these ideas could come in handy for a back to school night later in the year, such as the signs to set up around the room, or even the use of the sign in sheet! It's never too late to send home the student information pack either! Are these pretty similar ideas to what happens at your meet the teacher event? Yes, it's compulsory for families to meet their child teachers and discuss about their children future. Thanks for sharing wonderful thoughts with us. This is really worth reading. I'm gaining a lot of knowledge from your posts. Keep us updated with more such articles.